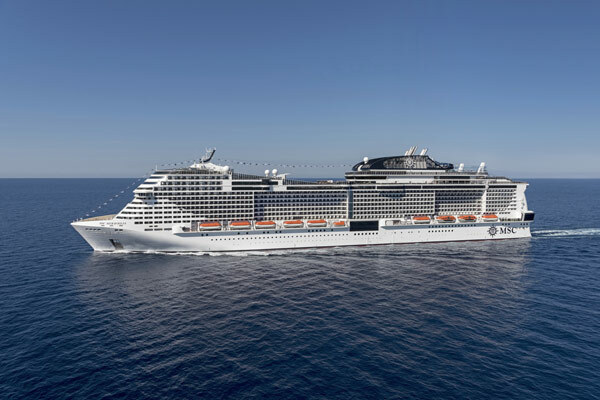 In less than three months, MSC Cruises will officially name their new ship, dubbing her MSC Bellissima. 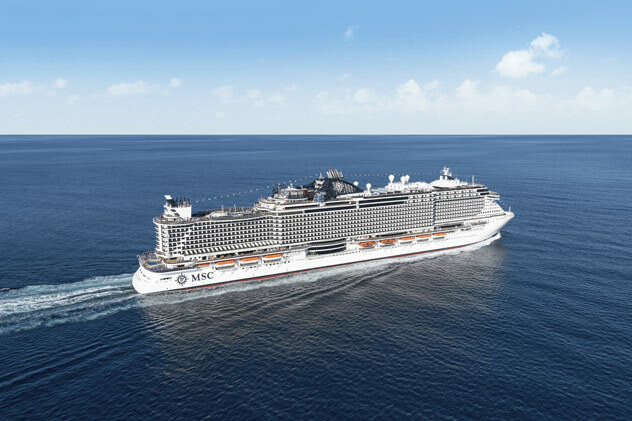 Staying close to home, MSC Bellissima will call the Mediterranean home until the Winter 2019 season, when she will make her way to the Emirates, and then further east to China in 2020. 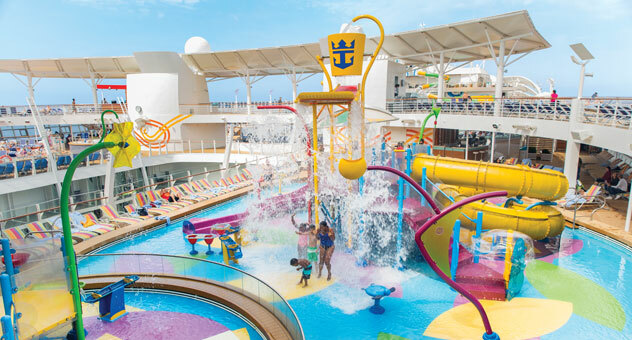 As MSC Cruises tries to stay atop the cruise industry as far as technology goes, they will introduce a new feature aboard MSC Bellissima, Zoe. Zoe is a “digital cruise assistant” which will be available to all guests on board. 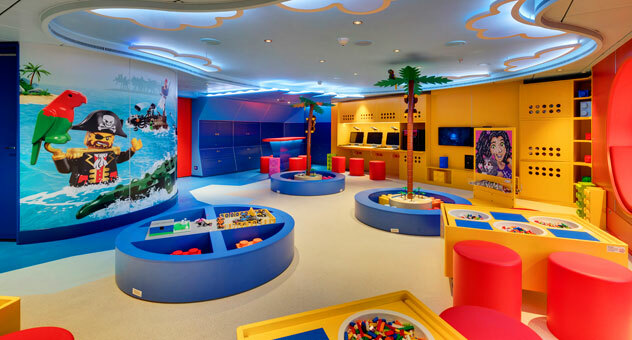 The main functionality of this innovation is to allow passengers to have any and all questions about their trip answered in the comfort of their stateroom. 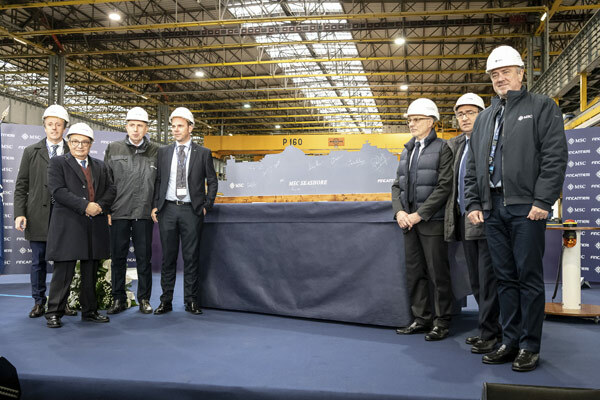 On November 26, 2018, MSC Cruises made the first cut of steel for their newest build, MSC Seashore. 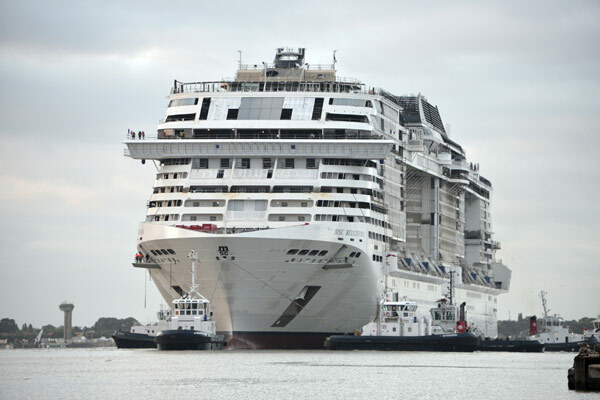 This will be the first ship in the MSC Seaside EVO-class. 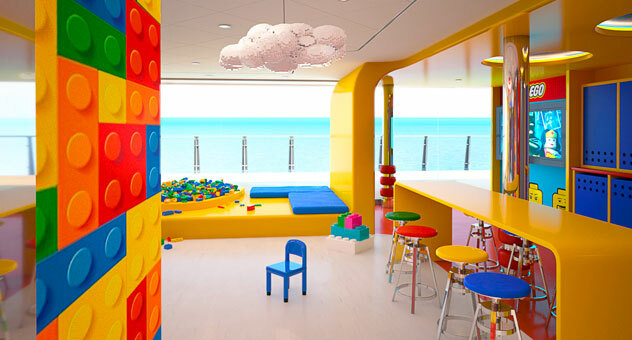 This will be a new subsection of the Seaside-class, featuring 200 additional cabins, more dining options, and a larger area for members of the MSC Yacht Club. These advancements, along with technology to measure efficiency, further MSC Cruises’ commitment to sustainability. MSC’s newest efforts will phase out the following single-use plastics, given that there are eco-friendly options: plastic shopping bags, spoons, cups, and straws. Other items, for which single-use offers convenience for guests, such as portioned food items, will be effectively recycled. Crew members aboard any of MSC’s fleet are dedicated to the reduction of marine pollution through strict adherence to MARPOL guidelines and CLIA sound environmental principles. Environmental Officers for MSC monitor and implement the vision of the company across the fleet to ensure effectiveness of programs. 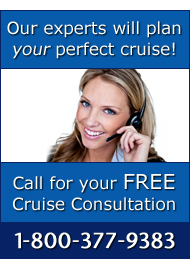 For more information about MSC Cruises, please call The Cruise Web today at 1-800-377-9383 to speak with an expert cruise consultant. 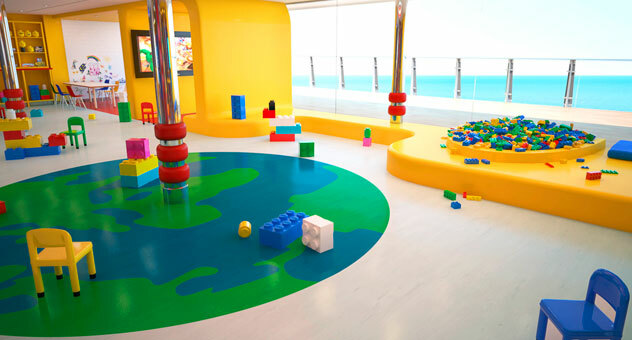 For the first time, MSC Cruises is going beyond their large contemporary vessels and moving into luxury cruising. 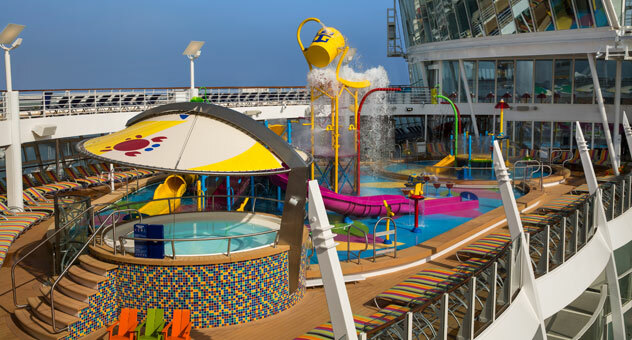 The Italian-based cruise company ordered four new 64,000-ton cruise ships, which will hold up to 1,000 passengers. Pierfrancesco Vago, executive chairman of MSC Cruises, said that this would be a logical next step to expand the MSC Yacht Club, which is currently known as the “luxury ship within a ship” on the bigger vessels. 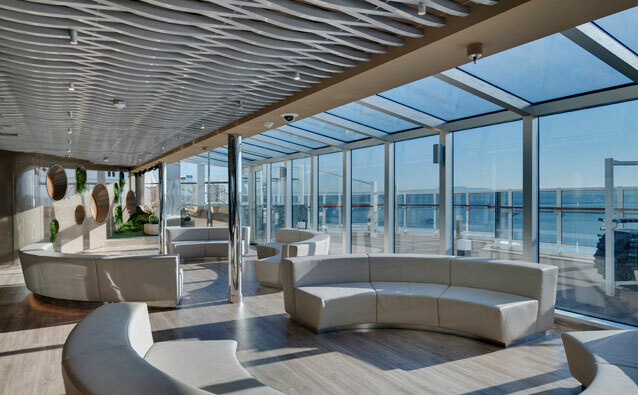 “These ships will be able to offer unique itineraries, thanks to their size, and the guest services will be taken to another level, including our personalized MSC Yacht Club butler service, available 24/7,” Vago said. Large cruise companies that have both contemporary ships and luxury vessels in their fleet operate them as brands independent of one another. MSC would be the first to operate as one brand, but with different levels of luxury and exclusivity. 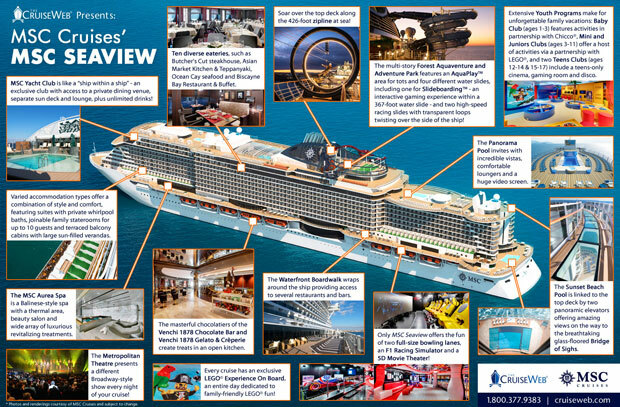 Enjoy a colorful preview of MSC Cruises’ next groundbreaking ship, MSC Seaview, with The Cruise Web’s latest cruise ship infographic! 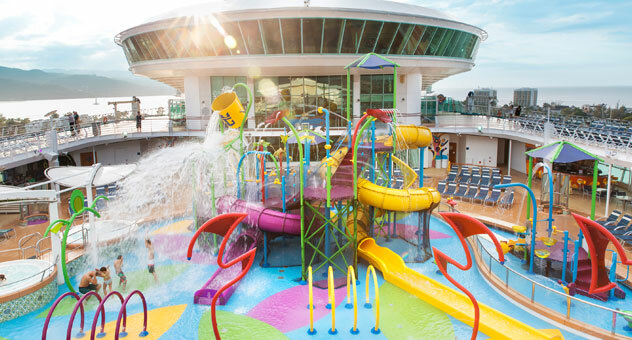 MSC Seaview is a sister to the Miami-based MSC Seaside, featuring a plethora of carefully curated entertainment options, diverse palate-pleasing dining and unforgettable onboard activities. 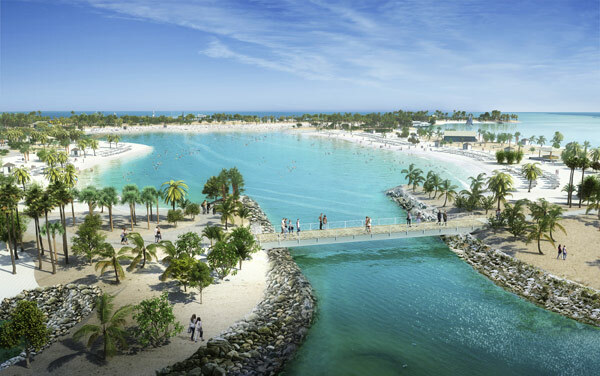 Plus, guests have their choice of a wide range of accommodations in which to retire – each a welcoming retreat to provide the energy needed to experience all MSC Seaview has to offer when she debuts in the Mediterranean in June of 2018!